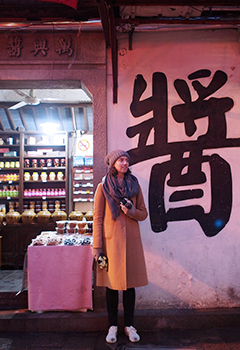 Ellen Schulz is studying a double degree in Law and Arts and is majoring in Chinese. 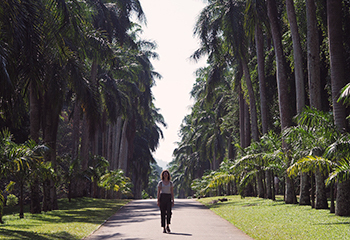 In 2015, she completed a Law School study tour to China; in 2016, she completed an exchange to Shanghai Jiao Tong University thanks to the Westpac Asian Exchange Scholarship; and in 2018 she completed both an internship in Sri Lanka and a study abroad program to the University of Colombo thanks to the New Colombo Plan. 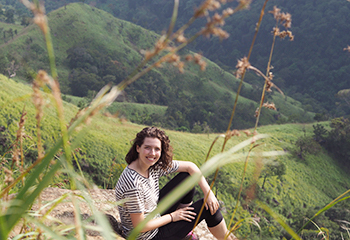 Having a keen interest in human rights, transitional justice, and gender equality helped Ellen in both her overseas study experiences and her overseas internships. 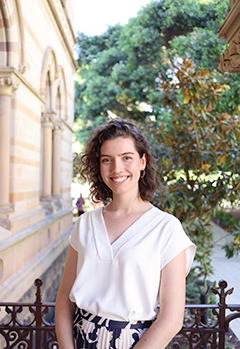 While undertaking her internship in Sri Lanka, Ellen worked with the Centre for Policy Alternatives, who specialise in human rights litigation, research, advocacy, and engagement with international bodies such as the United Nations and international law institutions. 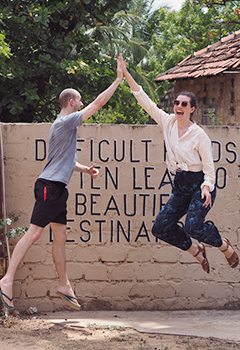 “My idea at the very beginning was to study in Sri Lanka, do some corporate internships in China, and then do a more human rights/social justice internship in India. But then this opportunity came up to do the Law School human rights internship in Sri Lanka, and I thought it would be good to stay in one place. It ended up being the three month internship in Sri Lanka, followed by a six month exchange at a university there, followed by three months in China. When I organised my first exchange to Shanghai it was quite easy, but Sri Lanka was crazy. I had a lot of issues with my visa and my university went on strike for five weeks and I was kind of left like ‘what am I going to do now?’ I had to keep doing something so I decided to do some language classes. I learnt Sinhala and Tamil, and I’m really glad I did. Where I lived everybody spoke English, so I didn’t have to worry too much, but I find that especially when at a foreign university, if you can show people that you’ve made an effort to learn even the smallest amount of their language, it shows so much more that you have a willingness to connect with them and their culture. Even if you can’t speak it properly, it’s such a good tool for cross-cultural connections. “I did Sri Lankan literature, which was amazing. I really got an insight into what university is like for local Sri Lankan students. All of my classes were in English but it was still a very local experience. My other course was in theatre and application, so I got to learn about social justice through creative projects. I was just so lucky to be able to enjoy those classes over there. 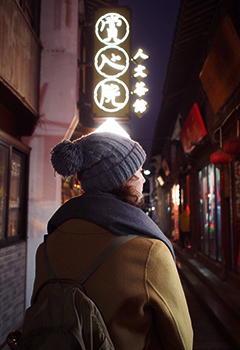 “I studied Chinese through high school, so the first time I went to China in high school was when I realised how awesome it was to learn a language – it was when I realised you can go to a new place and feel like you’re capable of thriving and engaging with something completely foreign. I think that opened my eyes to all the other things, like food and culture. Something I always come back to when talking about my experiences is how dynamic it is. There’s always something going on in Asia. In the next ten years, Ellen hopes to see what opportunities come up for her. Broadly, she would like to work in a field where she is connected to Australia but also connecting internationally. She would like to be in a job that aligns with her values and is challenging, but fulfilling. This entry was posted in Asia, China, Exchange, Faculty of Arts, Faculty of Professions, Law, Short Programs, Sri Lanka, Study Overseas Alumni. Bookmark the permalink.